A large shopping trolley, designed to respond to two needs: shopping and resting. Ideal for shopping calmly, which offers the possibility of sitting and resting for a few minutes, and then carrying on with more energy. 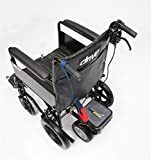 It is a product designed for independent people of all ages, who enjoy a daily outing and who are looking for a practical and comfortable accessory in which they can transport their purchases effortlessly. 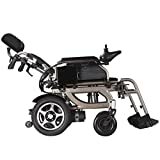 The main features of the Lett700 are the safety or parking brake, essential in order to use it as a seat, and instant braking which is activated with your hands. 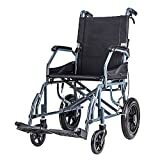 It has swivel wheels which facilitate its movement and an adjustable handlebar to adapt to any person. The inner bag, with handles, is removable and washable. Its easy and compact folding system with safety lock allows us to store the trolley in any cupboard. Global patent protected design. Lightweight structure (aluminium). Strong. Adjustable handle bar height from 90cm to 100cm. Bag capacity 32 litres. Weight: 5.2k. 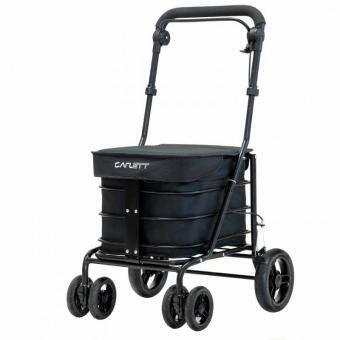 Dimensions (trolley): W 51 x D 58 x H 90-95-100 cm. Dimensions (folded): W 51 x D 36 x H 101-106-111 cm. Easy to fold. Silent smooth rolling wheels, even on rough surfaces (EVA material). Choice of 2 positions for wheels. FIXED and 360 degrees swivelling. Removable inner bag with handles (32 litres capacity). Instant braking system. Separate park brake. 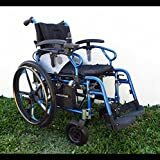 Designed for you to sit down with padded seat. Ample internal storage compartment (32 litres capacity). Seat size: W 36.5 x L 33.5 cm. Seat height: 53cm (measured from floor). Maximum seat load: 100 kg / 15 stone. Maximum load in the removable inner bag: 15 kg. This product is only a trolley with a seat for use when shopping, designed to make transporting products easier. We cannot be held responsible for any other uses made of the product.